irons, oils, solvents, acids, alkalis, fuels, hydraulic fluids, and fungus. Shrink Ratio--2:1 (50%). AMS 3636B,AMS 3637A,ASTM D876, ASTM D150, ASTM D257,ASTM D2671, ASTM D792. STD. COLORS: Black, Clear, Red, White. Other colors are available to order. *If full recovery allowed. **O.D. of closest equivalent wire. 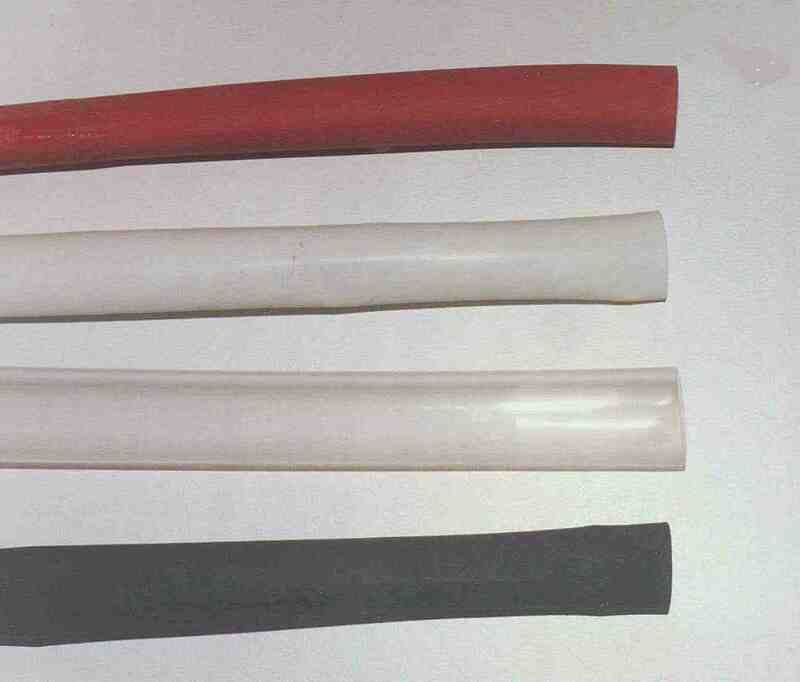 SEMI-RIGID IRRADIATED POLYOLEFIN SHRINKABLE TUBING IS AVAILABLE TO ORDER. CUT & PRINTED WIRE MARKERS ARE AVAILABLE TO ORDER. RoHS compliant. meltable inner/adhesive liner it not only insulates, it can also encapsulate giving a watertight fit. begins when exposed to 120°C. Longitudinal shrinkage: 10%. Dielectric Strength: 2500V for 1 Min. or connectors-to-cable terminations. OPER. TEMP. : -55°C to +135°C. Meets MIL-I-23053/4, Class 3, UL VW-1, CSA OFT (jacket only), ASTM D638. STD. COLOR: Black STD. P-U: 4ft. lengths. *Total wall thickness including liner, if full recovery allowed. **Total wall thickness of liner only, if full recovery allowed. ++O.D. of closest equivalent wire. RoHS compliant.